On February, 10th the so-called "minister of construction and housing and communal services" Alexey Rusakov and director of LLC "Liga-stroyservis" Maxwell Sammy were taken into custody in occupied Lugansk. Militants of the so-called "Ministry of State Security of LPR" suspect Rusakov and Sammy in "unlawful diversion of budget funds on an especially large scale". The issue is the funds that were allegedly allocated to finance "100 houses reconstruction programme". In particular, Rusakov is accused of embezzling 10 million roubles from 72 million allocated for the reconstruction of destroyed houses. We can not say for sure that these funds were allocated indeed to repair houses damaged as a result of firings, and whether there is such a programme in fact. Internet sites controlled by "LPR" periodically informed about its implementation, a couple times videos which capture the progress of construction of houses were represented in the web. So, some resources have been spent yet. Most likely, the resources are from Russia. "LPR" periodically bragged of building materials from the so-called "humanitarian convoys". Georgievka are to be restored and built from September to December. In addition to the programme "100 houses" in "LPR" there is also the programme "2000 houses" for the implementation of which Alexey Rusakov was responsible also. By the way, speaking about Rusakov we can assume that he was appointed to the post of "minister" only to fire him at the right time and put the blame on him for all the sins of corruption in "LPR". Prior to becoming a "minister of housing and communal services" Rusakov was the head of one of the most unprofitable urban utilities in Lugansk, "Teplokommunenergo". And before, four years earlier he was convicted of public utility payments frauds. In 2003, he was a head of a house management No. 22 in Zhovtnevy district, the newspaper "Molodogvardeets" writes. He was found guilty under Article 367, part 2 of the Criminal Code of Ukraine (negligence resulting in serious consequences) and was sentenced to 4 years of imprisonment with deprivation of the right to hold positions related to the execution of organizational, regulatory and administrative duties.However, in July, 2003 Rusakov was amnestied. In April 2015 SBU (Security Service of Ukraine) together with the State Service for Financial Monitoring has blocked accounts of Rusakov who at that time was already a "minister of LPR". 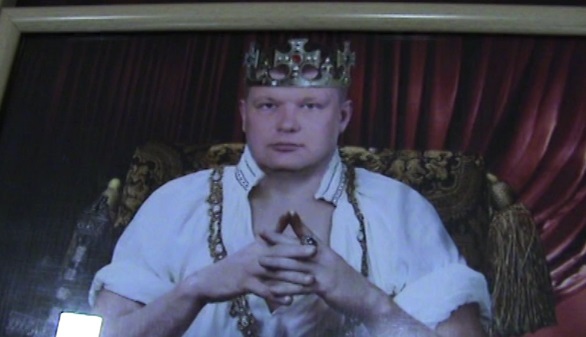 According to the SBU report, he kept in an Ukrainian bank 550 thousand US dollars and 1.24 million hryvnias. The power department has noted that these funds were intended for financing LPR militants and acts of sabotage commited by them. Now Rusakov is arrested by his own supporters. Director of the LLC "Liga-budservis" Maxwell Sammy is arrested also. He is accused of illegal activities. "MGB" (the so-called Ministry of State Security of LPR) claims that he is the only employee of the company, there are no other employees in the staff. By the way, the data on the enterprise "Liga - budservis" are still contained in the register of Ukrainian Ministry of Justice. Speaking of the "contractors" in the construction and rehabilitation of housing, we should also recall the idea of "LPR" establishment members on creation of "labor armies" and student labor groups.So, the "Labor army" includes the unemployed which are those inhabitants of the occupied territories who have lost their jobs with the advent of the "Russian world". Such employees receive food packages from "humanitarian convoys" for their work. After arrest of Rusakov mass media of LPR were either allowed, or ordered to show results for the housing rehabilitation programme. But it appears that tenants are dissatisfied with the result. 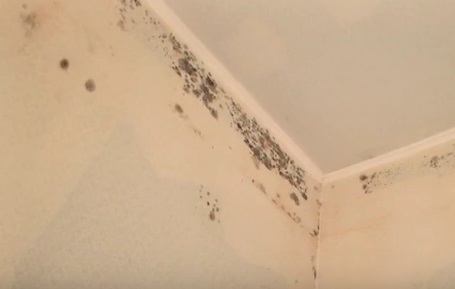 In Novosvetlovka (Krasnodon district) in the beginning of December a family of five persons with a small child have settled into a house where it is damp, cold and the walls are covered with mold. And residents say that if molds will grow, they will have to move out. Judging by the speed with which corrupt "ministers" and "officials" fall under arrest in "LPR" it is possible to assume that housing in the occupied territories will be restored for a long time and very poorly. After all, a temptation to steal and resell that it was brought by "humanitarian convoys" is rather great.